Jane Hirshfield is the author of eight collections of poetry, including, most recently, The Beauty (longlisted for the National Book Award); Come, Thief; After (shortlisted for England’s T.S. Eliot Prize and named a “best book of 2006” by the Washington Post, the San Francisco Chronicle, and the London Financial Times); Given Sugar, Given Salt (finalist for the 2001 National Book Critics Circle Award); The Lives of the Heart; and The October Palace, as well as two books of essays, Ten Windows: How Great Poems Transform the World (Knopf, 2015), which was awarded the Northern California Book Award for Creative Nonfiction, and Nine Gates: Entering the Mind of Poety. She has also edited and co-translated four books containing the work of poets from the past: The Ink Dark Moon: Love Poems by Komachi & Shikibu, Women of the Ancient Japanese Court; Women in Praise of the Sacred: 43 Centuries of Spiritual Poetry by Women; Mirabai: Ecstatic Poems; and The Heart of Haiku, on Matsuo Basho, named an Amazon Best Book of 2011. Hirshfield’s work has appeared in The New Yorker, The Atlantic, The Times Literary Supplement, Harper’s, The Nation, Orion, The American Poetry Review, Poetry, eight editions of The Best American Poetr y, five Pushcart Prize Anthologies, and many other publications. Her work frequently appears on Garrison Keillor’s “Writers Almanac” program and she has been featured in two Bill Moyers PBS television specials. 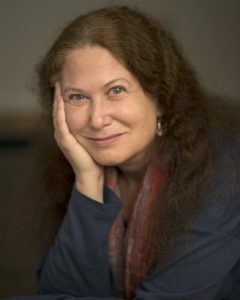 In fall 2004, Jane Hirshfield was awarded the 70th Academy Fellowship for distinguished poetic achievement by The Academy of American Poets, an honor formerly held by such poets as Robert Frost, Ezra Pound, William Carlos Williams, and Elizabeth Bishop. 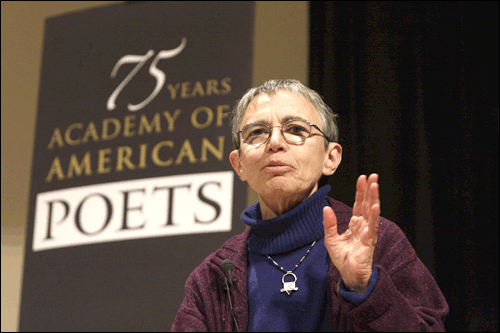 In 2012, she was elected a Chancellor of the Academy of American Poets. Hirshfield will offer a master poetry class and Poetry reading April 6, 2019.